Begin your day in San Marco, a quaint neighborhood located five minutes south of Downtown Jacksonville and perfect area if you only have a few hours. San Marco Square, fashioned after St. Mark's Square in Venice, revolves around a water fountain capped with three enormous bronze lions and a charming gazebo. The lions make a great photo op, bring your camera! The streets in San Marco are lined with boutiques specializing in the finest designer clothes, precious artwork and gifts, antique stores and outdoor dining which are perfect for people watching while sipping on a coffee or smoothie. The Wardroom has a few Jacksonville keepsakes for you to wrap up and take home. A sweet stop in the area and not-to-be-missed attraction, Peterbrooke Chocolatier Production Center must be on your list! A permanent fixture in Northeast Florida for the past 30 years, this is a Jacksonville local hotspot for chocolate lovers. Enjoy sampling and indulging yourself with chocolate dipped strawberries, fresh baked cookies and their signature item, chocolate-covered popcorn. With numerous locations throughout Jacksonville, the production center in San Marco offers behind-the-scenes tours to see how their sweet creations come to life! Staying near Downtown? Catch a movie at the historic 1938 San Marco Theater or watch the sunset at Riverfront Park on the St. Johns River. End your evening with a stroll around Friendship Fountain, located on the southbank of Downtown. The Fountain is one of best spots for a photo of the Jacksonville Skyline, don’t forget to snap a ‘selfie’ and tag us on Instagram. Stop into Maple Street Biscuit Company, an #OnlyInJax hot spot—try the sticky maple biscuit it’s a favorite amongst locals. The coffee is pretty tasty too! Pull up a seat, if you only have time for happy hour. Choose from craft cocktails at Grape and Grain Exchange to craft beer at Aardwolf Brewing Company or an actual carafe of wine at The Grotto. 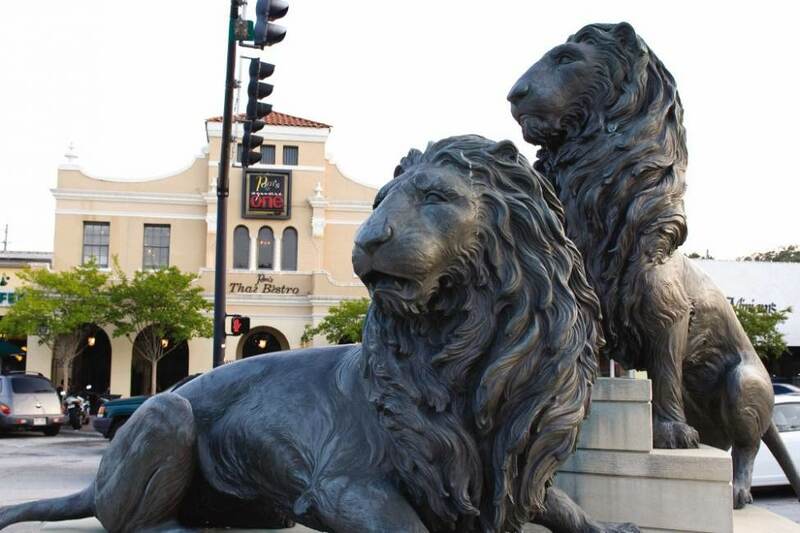 San Marco Dining District is location to some of Jacksonville’s best dining options—Taverna, Matthew’s , Bistro AIX and Indochine to name a few. If you are looking for more casual fare, The Loop Pizza Grill offers a number of different styles of pizzas, unique burger combinations and delicious sandwiches and salads. The San Marco Art Festival happens twice a year, every April and November. Enjoy art in the streets from vendors across the nation. Admission is free!